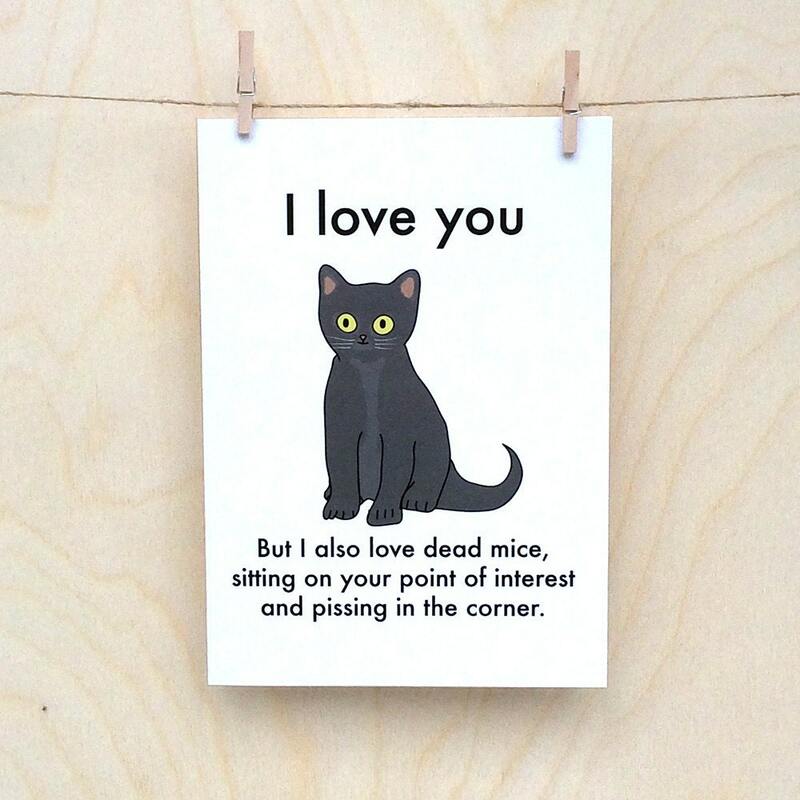 This funny valentines card is all about cats. Cats are all about love. Love and annoyance. and mice. and self interest. and wee. A really do, they are so lovely. If you love someone as much as I love cats then surely you should give them this card. Amusing greetings card printed on 125mmx175mm 300gsm matt card. Professionally printed, comes with lime envelope in cellophane wrapper. Shipped in hard envelope.